This Chakra is the first of what are called the “spiritual” chakras, and governs honest communication through speaking, listening and self-expression. An open Throat Chakra allows authentic thoughts and opinions to be expressed without fear of rejection or judgment. Working on the lower Chakras helps reduce this sense of fear. 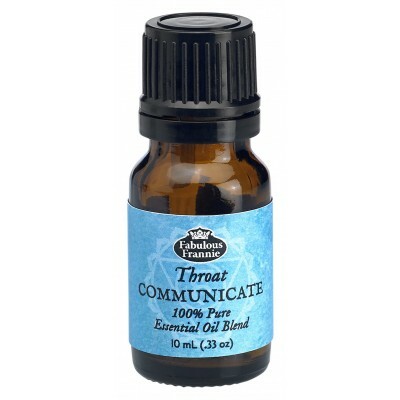 Ingredients: Throat Communicate Blend is specially formulated with Bergamot, Cypress & Spearmint essential oils to promote confidence and contentment in social interactions.